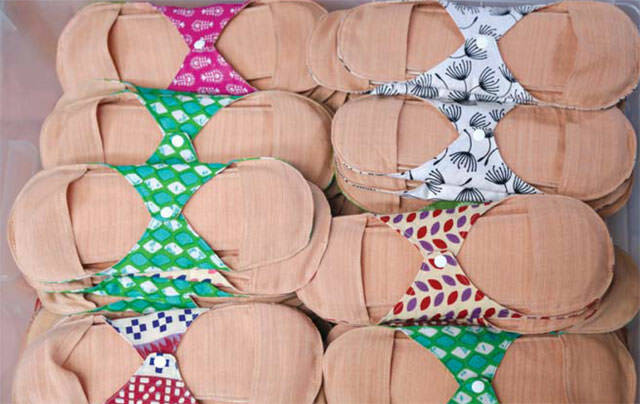 WORKING FOR WOMEN: Dharti Mata Sustainable Workshop produces hand-made eco-friendly, cotton menstrual pads. “I hope women can reconnect with their bodies, starting from their menstruation,” says Lin Nien-Tzu (Claire), a Taiwanese who set up Dharti Mata (Mother of the Earth) Sustainable Workshop in Patlekhet, near Dhulikhel, to provide local women with jobs producing eco-friendly, cotton menstrual pads. She was nominated as one of the BBC 100 Women 2017. Inspired during a trip to South India, Claire bought her first bag of cotton pads and brought them to Nepal, where menstruation remains a taboo. An extreme example is the custom of chhaupadi, practised mainly in the western hills, where girls and women are isolated in crude huts during their periods. 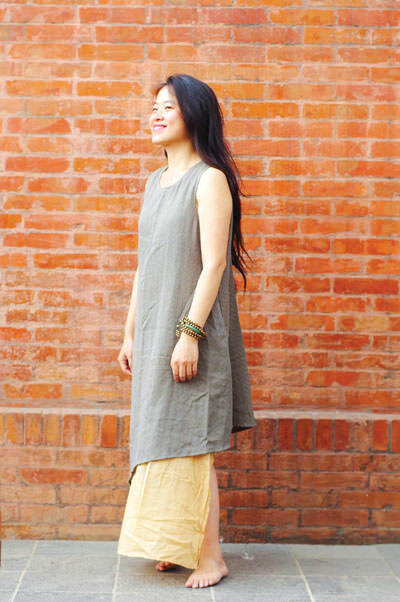 Claire says her aim is to raise Nepali women’s awareness of menstruation and make them feel confident and comfortable during their periods instead of being constrained by age-old social taboos and practices. Initially, she interviewed 100 women around Patlekhet about their experiences during periods. “I found women experienced hardship during menstruation. And their response to cotton menstrual pads was positive,” she says. She started Dharti Mata in 2011. It took her nearly two years to launch the workshop, including finalising sources of raw materials and the production process. “I was quite anxious at the beginning, I am used to the Taiwanese working style where everything is fast and super-efficient,” says Claire. 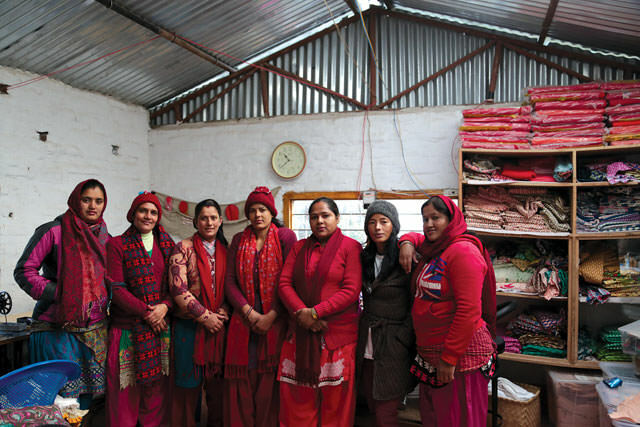 The workshop now consists of seven women cutting, sewing and assembling, including Kalpana Khatri (second from right) and Amrita Dhital (third from left). The workshop now consists of seven women cutting, sewing and assembling daily from 10am to 4:30pm. The local women ensure things run smoothly, occasionally proposing more productive ways of working. The village women do the usual farm and housework in the early mornings and after work. “I am proud working here, doing something for women ourselves,” says Kalpana Khatri, the first local to join the workshop. Dharti Mata gets active support from village men as well. Bishnu Tiwari, from Hasera Farm, cooks the women’s lunch and snacks. “Women are our treasure, we couldn’t maintain the family without women,” Tiwari says. When male farmers visit the workshop, the women introduce the cotton pads and explain menstruation to them. “Many male farmers solved the puzzle of feminine physiology, and bought cotton pads for their wives, daughters and granddaughters as souvenirs,” says Claire. Besides selling the pads at the workshop and online, Claire takes them to Taiwan and Kathmandu, including Karma Coffee Nepal in Sanepa, which has been selling Love Ladypads since 2015. Recently Karma started selling menstrual cups too. “Not only do they buy the pads and menstrual cups as gifts for their friends, many local girls also try these menstrual products themselves,” says employee Suni Dangal. Claire is actively collaborating with other groups to promote sustainable menstrual products. “Some NGOs order pads and take them to girls and women living in high Himalayan regions,” she says. Anita Thapa, executive director of Her Turn, an NGO that focuses on empowering adolescent girls, boys and women. Nepal’s Parliament passed a bill criminalising the banishment of women during menstruation last August. It is set to take effect in August 2018. Anyone who violates the law can be sentenced to three month in jail, fined Rs3,000, or both, including girls and women who sequester themselves. However, the draconian laws won’t automatically change people’s minds and attitudes. Anita Thapa, executive director of Her Turn, an NGO that focuses on empowering adolescent girls, boys and women, says it will take time to change people’s mind as chhaupadi is closely associated with Hinduism. “We spoke to girls in the western rural areas, who told us it could be difficult to abide by the law. Most people follow the tradition because they fear that if they do not, their gods will be angry and they will have a difficult time in the villages,” says Thapa. Since 2013, Her Turn has held workshops on women’s health issues, including chhaupadi, in more than 70 schools in Gorkha, Jumla and Sindhupalchok districts. “At least there are some slight changes: instead of staying in cowsheds during their periods, they now have a separate room to stay in,” says Thapa. The first wave of the menstrual revolution was marked by the use of disposable sanitary pads, signalling the rise of feminism. “Now comes the second wave of the revolution, which encourages the open discussion of periods and the connection between women and their bodies,” says Taiwanese activist Lin Nien-Tsu (Claire). This second wave encourages products like menstrual cups and reusable pads, and is being pushed by local activists in Nepal. Hasera Farm’s Mithu Dhital has been working with Claire since 2014. She voluntarily gives lectures and workshops on menstruation to girls from more than 20 schools around the village of Patlekhet, teaching them how to make sustainable cotton pads and informing them about feminine physiology. “The ladies working in the workshop sometimes join me to talk with girls as well,” says Dhital. Lhamo Yangchen Sherpa, the senior manager at PSI Nepal who researches menstrual products, says there are no standards for sanitary pads in the country. “Women don’t know what we are using for menstruation. Some women are using unhygienic materials to manage their periods since there’s no standard on materials used, PH values and the disposability of menstrual pads,” says Dr Sherpa. She adds that girls in rural areas told her they can’t afford pricey sanitary pads, which include a 13-15% tax imposed by the central government. Sherpa and her team are pressing the government to reduce the tax and establish standards for menstrual pads.